Helping underprivileged children is a powerful, life-changing experience, one which resonates deeply within the communities where we build schools as well as in our own personal lives. Visit our photo and video galleries and relive our experiences building primary schools in rural Cambodia and rural Uganda while enabling girls at risk for human trafficking to attend school for the first time in their lives. 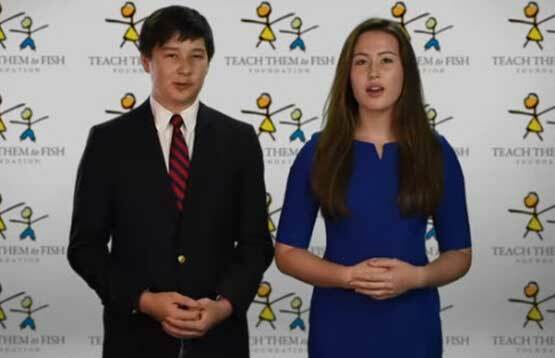 Watch how the Teach Them To Fish Foundation is making a real and meaningful difference in the lives of children, their families, and future generations to come bring one school at a time. Our Photo Gallery includes pictures of our initial exploratory missions, ground breaking ceremonies, construction of our schools, opening ceremonies, and various events at our primary schools in rural Cambodia and Uganda. We hope you enjoy seeing the real and meaningful difference that the Teach Them To Fish Foundation is making in the lives of underprivileged children and girls at risk of human trafficking. Watch some of our videos including an awe-inspiring and emotional video depicting the meaningful work the Teach Them To Fish Foundation is doing in rural Cambodia and Uganda and its impact on the lives of thousands of orphaned and underprivileged children who without your help simply have no hope.